We Hazards are so incredibly lucky to live in California, where many of our friends and family have lemon trees. This means, bags of beautiful juicy lemons are graciously passed down to us. Upon receiving them, my mind immediately wanders into lemon dessert land (see Lemon Ricotta Cookies) while Samantha’s goes straight to lemonade. 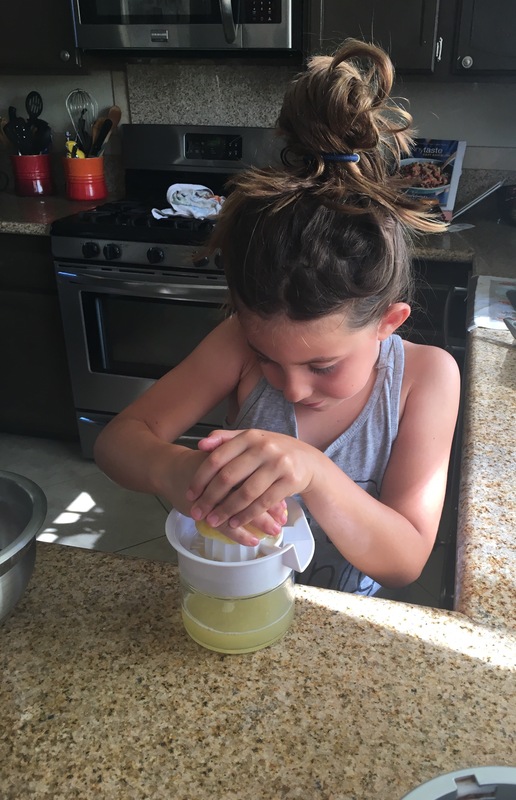 Fresh lemonade really is delicious, but here’s the dilemma: When you make fresh lemonade at home, you witness the copious amount of sugar needed to tame the tartness of the lemon juice. It’s A LOT. Or so we thought. Together, Samantha and I came of up with a better way to combat the tartness. Sweet, ripe berries!! We were able to cut the sugar to only 1/3 cup by cutting it with fresh strawberries and blueberries. That’s huge! The result: Berry-licious, just as delicious, Lemonade! Perfect for sippin’, selling at a lemonade stand or even pouring into popsicle molds for a frozen tart treat. Step 1: Halve and juice lemons. Step 2: Place 1 cup of water and 1/3 cup of sugar in a small pot over medium-low heat. 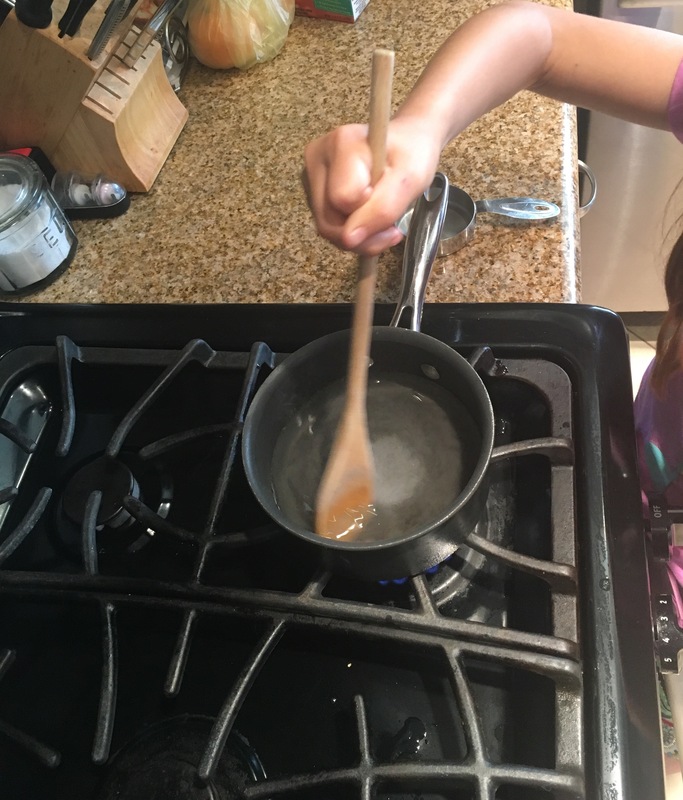 Stir continuously with a wooden spoon until sugar dissolves, about 1 minute. Step 3: Rinse berries and hull the strawberries. 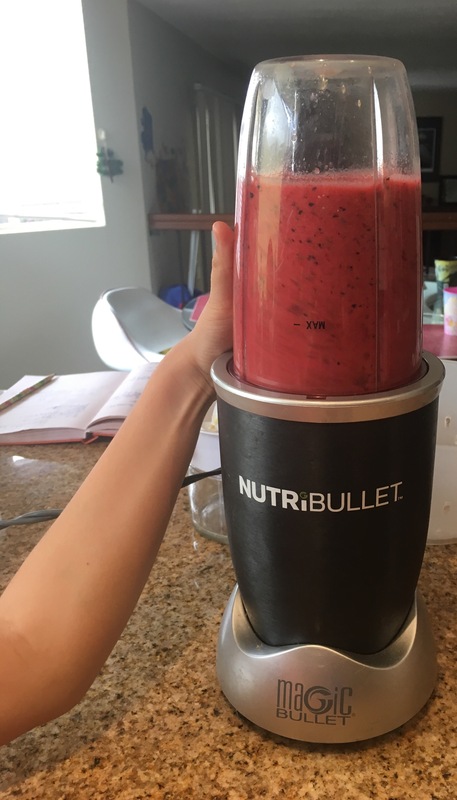 Place in a small blender and process until very smooth. ​Step 5:​ Pour strained puree, lemon juice, water/sugar mixture and 3-4 cups of water (depending on taste) into a large pitcher. Stir, stir, stir! Step 6: Pour over ice and enjoy. Alternatively, you can cover the pitcher and store in the refrigerator for up to 3 days.